Have a look at some of our completed film projects. Click on the posters for more info for each project. 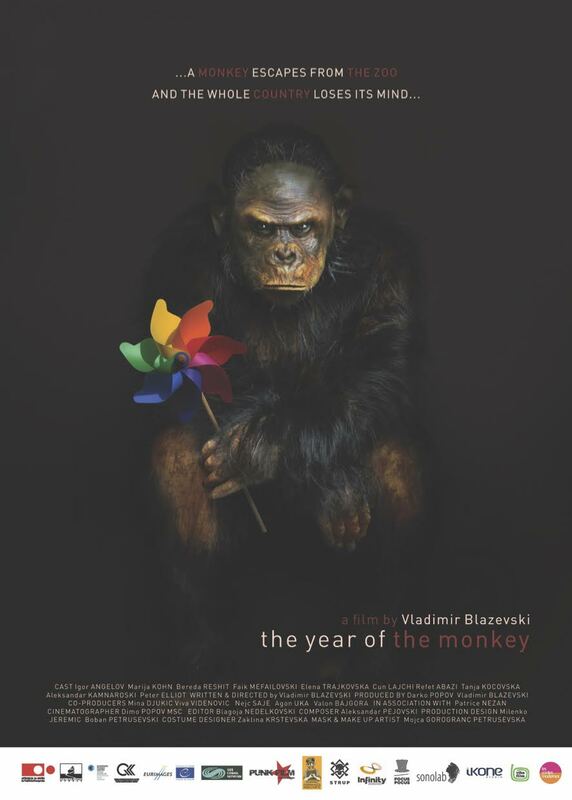 A mild political satire about a peculiar friendship between a lonesome monkey and an (impoverished) zoo warden, and about an upside-down world in transition as seen by a chimpanzee. Lumi wants to exterminate all the crows of his city;he blames them for the loss of his family in a traffic accident. . He meets Yllka which is in search of her son that she had given up him since his birth five years ago and was adapted from local family. She is seeking to take him back on his birthday. They make an agreement to help each other, so Lum to kill all the crows and Yllka to take her son and the two set out on an adventure in which they discover their past. FADILI an archivist finds himself in a difficult situation, he has to choose between two options, being aware that both of them are wrong. As consequence if his decision Fadil involuntarily and unwillingly, “swallows” the shame, endures the pressure coming from all sides. 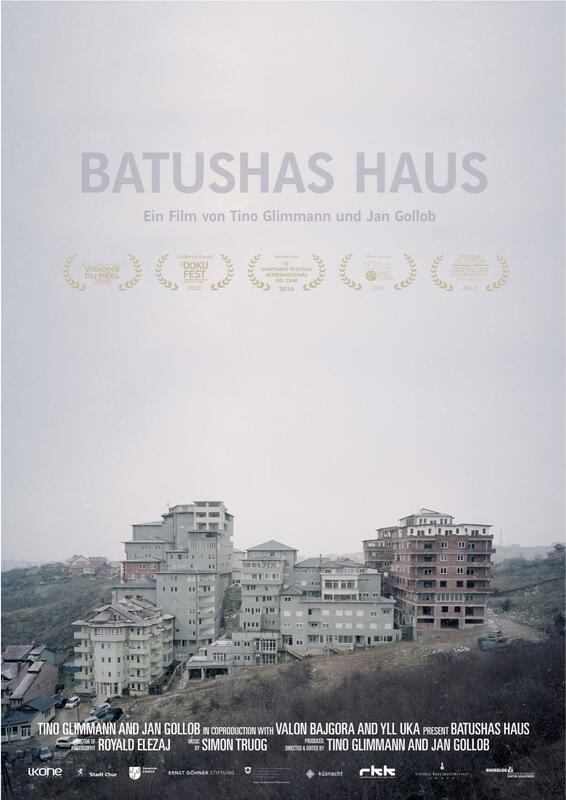 Seit 15 Jahren baut Kadri Batusha an seinem Haus in den Hügeln von Prishtina im Kosovo. Es beherbergt über 100 Wohnungen und mehr als dreimal so viele Menschen. Entworfen hat es Kadri Batusha selbst; ohne Architekten und ohne Ingenieur, ganz nach seinen eigenen Vorstellungen und Ideen. Entstanden ist ein faszinierendes Gebilde. Kadri Batushas ganze Lebensgeschichte zeichnet sich darin ab; eine Lebensgeschichte, die geprägt ist von Revolutionen, Krieg, dem Kampf für die Unabhängigkeit und der Zeit im Exil. Der Dokumentarfilm von Tino Glimmann und Jan Gollob nimmt den Betrachter mit auf eine Hausführung, welche bis in die Schweiz führt. The first payment Lisi (13) decides to share among friends from work, as a real man. Friends want rakia. Lisi will drink rakia, he already knows it is not easy to be an adult. But how can it become immediately so unstable? The one who can be very sweet with him behaves so mean to the friend next to him. They are still laughing, some are frowning. There is also a shout. Friends are drunk, they behave as children, so Lis has the time to show how grown up is he. 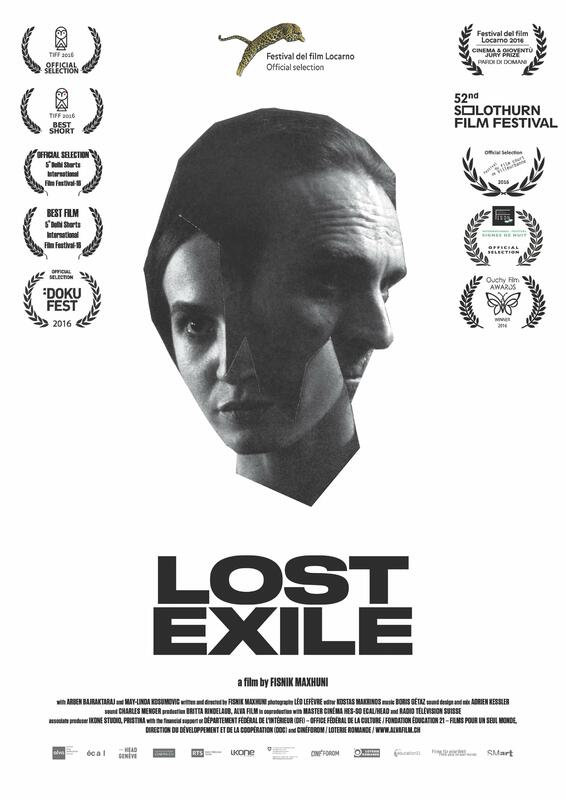 To escape from a lack of perspective in Kosovo, Hana decides to resort to the services of Emir, an illegal smuggler in Serbia that will drive her to Hungary. On the way, complications arise as Emir’s unscrupulous associates try to take advantage of Hana’s vulnerability. In the midst of the frozen winter, Hana’s courage and determination and Emir’s principles and beliefs will be put to the test. Emir, a family man, works for the local mafia as people smuggler between Serbia and Hungary. Hana, a young woman from Kosovo wants to flee her country and meets Emir to drive her. On the way, Emir’s unscrupulous colleagues order him to stop at a motel next to the border. They see in Hana the opportunity to gain money by delivering her to a prostitution ring. 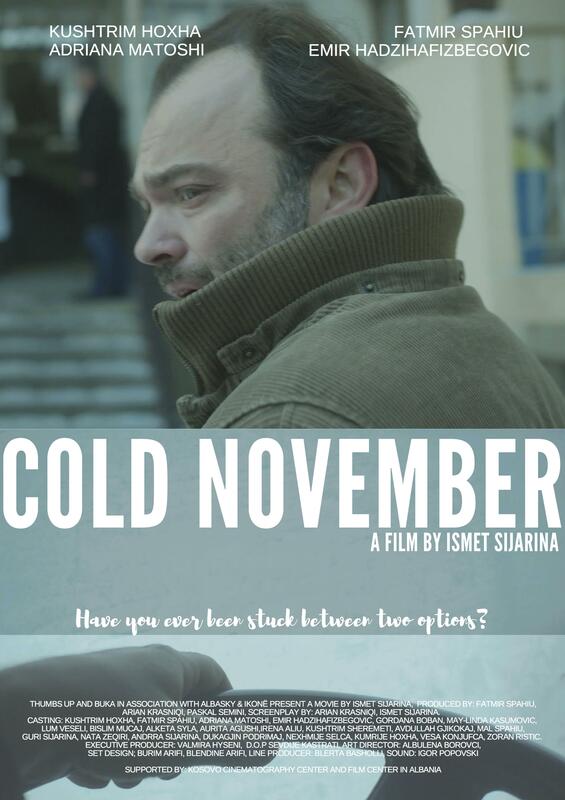 That night, Emir is faced with a moral dilemma and his own humanity as Hana will test her courage to change her life and make it to Europe. Emir is a family man who works as a people smuggler between Serbia and Hungary. Hana is a young Kosovar woman who is eager to flee her country and arranges for Emir to drive her across the border. Emir’s employers, the local underworld, order him to stop off at a border town motel. They see in Hana a potential source of revenue and want to turn her over to a prostitution ring. Emir will have to search deep within his soul and humanity as he struggles with this moral dilemma. 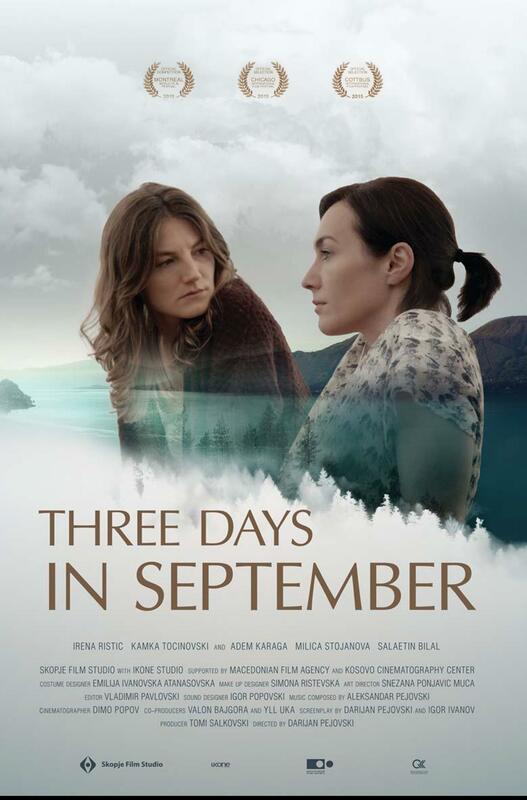 THREE DAYS IN SEPTEMBER is story about a vengeance, about the secrets we carry and the roles we play. Copyright © 2018 Ikone Studio - All Rights Reserved.